Seven facts that explain why housing will be critical for the ageing UK population. The Foresight future of an ageing population project analysed the main challenges that result from the UK population becoming older. Housing will be a critical part of the government’s future response to ageing, and the following seven pieces of evidence from the project explain why. 1. 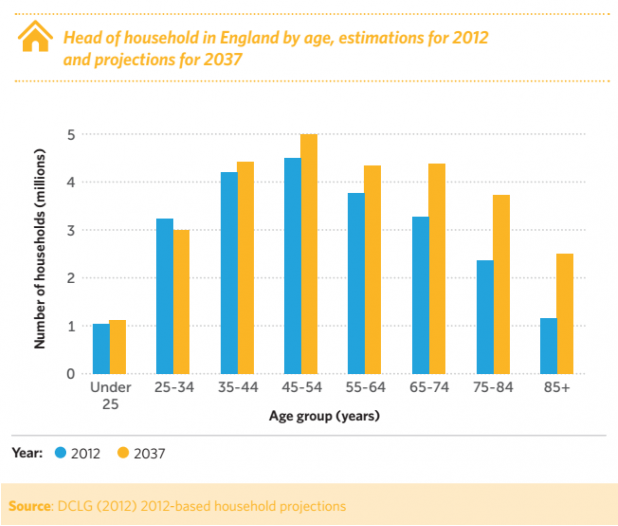 An additional 1.42 million households in England are forecast to be headed by someone aged 85 or over by 2037. 2. 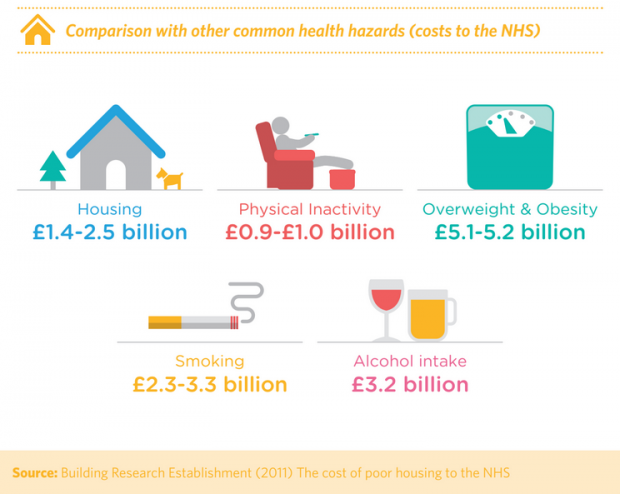 Poor quality housing in the UK costs the NHS an estimated £2.5 billion per year through negative effects on health. Damp, lack of insulation, poor heating, unsafe stairs, and low levels of both artificial and natural light can all affect mental and physical health. Housing becomes increasingly important to our health and wellbeing as we age and as homes are increasingly used as places of work and care. 3. 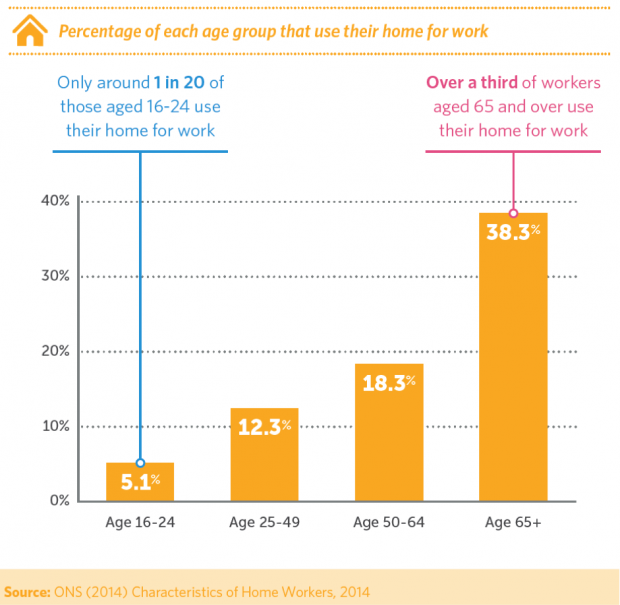 Older workers are more likely to work from home. Evidence suggests that home-working and other forms of flexible working help older people to remain in work and balance competing responsibilities such as care. This means that it is especially important for houses to be appropriate and supportive to older peoples’ needs. 4. There will be a 70% increase in demand for specialised housing by 2033. This increase will likely be driven by a higher number of older people with acute or chronic disabilities. 5. 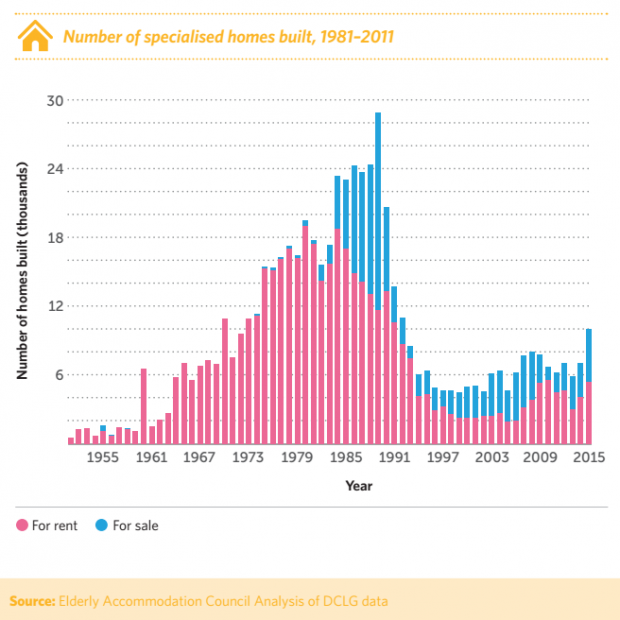 Fewer specialised houses have been built in the last 20 years relative to the period from 1970 to 1990. This means that increasing demand from older people for specialised housing is likely to go unmet. 6. Older peoples’ households are more likely to have two or more spare rooms. 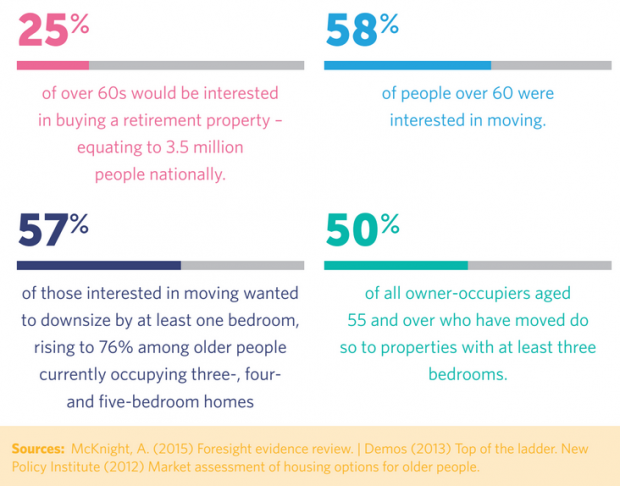 And many older people would like to move to a new home in their later life. 7. 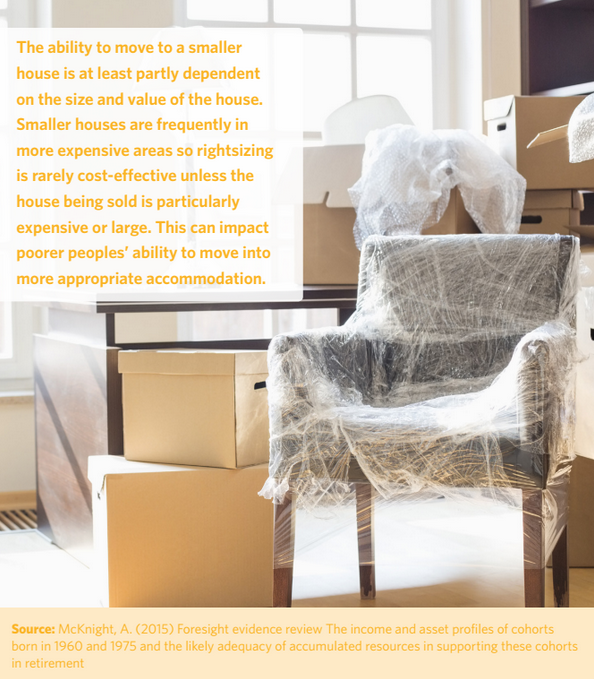 Smaller houses are frequently in more expensive areas so it is rarely cost-effective for older people to move to appropriately sized housing. Read Foresight’s Future of an ageing population final report to find out more about how housing will affect the future of an ageing population. Sign up for email updates from this blog to read more information from the Future of an Ageing Population project and other Foresight projects.